We’re supporting “The Blues” – our local football team, Southend United again. 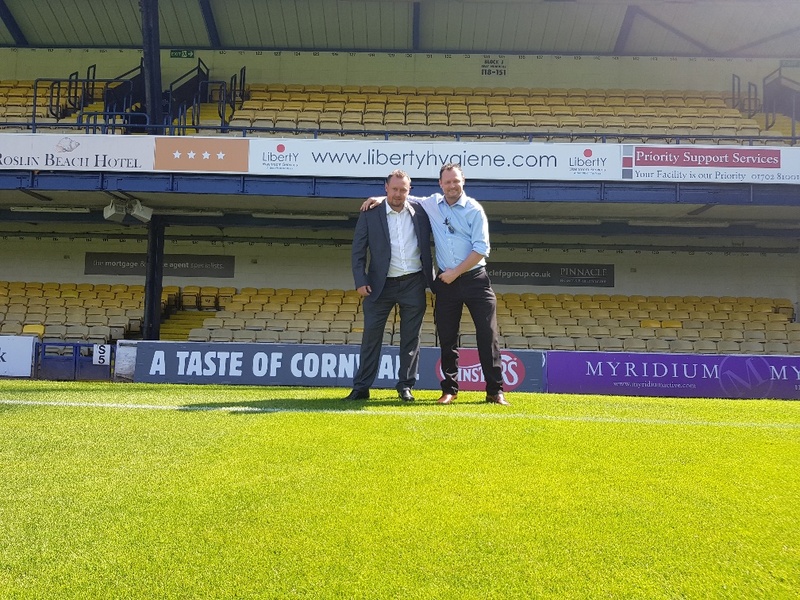 Visit their home ground at Roots Hall and see Liberty advertising around the ground as well as notice the top notch services in all the washrooms where we provide everything from hand dryers to vending units and have done for 10 years now.Being an active part of our local community is important to Liberty Hygiene. Many of our staff are local and have family here, so it is important to make sure that we continue to have a thriving town with plenty of amenities. Business can play such a big part of that. 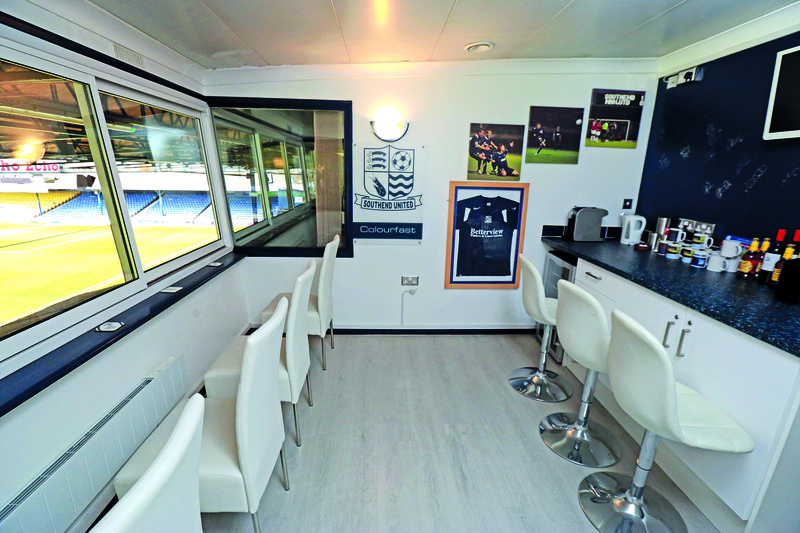 But we do more to not only support the team, we also tie in charity fund raising as well as client and staff entertainment with our private box at the ground for all home games. Glenn Marshall, Operations Director, explained “A good friend of the company was running in the London Marathon to raise funds for a cancer charity. We gave him our box for free and he was able to sell tickets for a match and raise over £500 towards his total” Supporting charities, locally and nationally is something Liberty is passionate about and in 2019 Glenn is running a half Marathon – we’ll keep you posted his progress. The ‘Blues’ fortunes have varied over the 100+ years they have been playing as a team in Southend but our commitment to keeping the washrooms top of the league never changes. Here’s wishing Southend United the very best for 2018/19 and we’ll all be shouting our support from the Liberty Hygiene box.